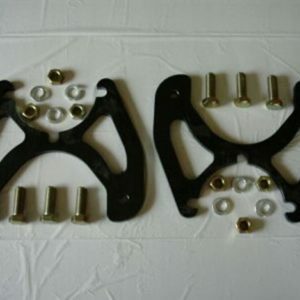 You get both brackets and six grade 8 bolts and zinc plated lock washers & nuts. 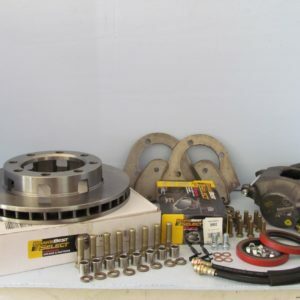 We do supply the rotors, loaded e-brake calipers, (constitutes: calipers, pads and slide pins) flex hoses (you must run flex hoses with this kit and adapt to your hard line). The calipers are the large single piston design. 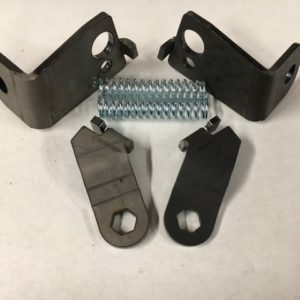 Fit : These kits uses overbuilt thick brackets, laser cut spacers (shims), and hardware. 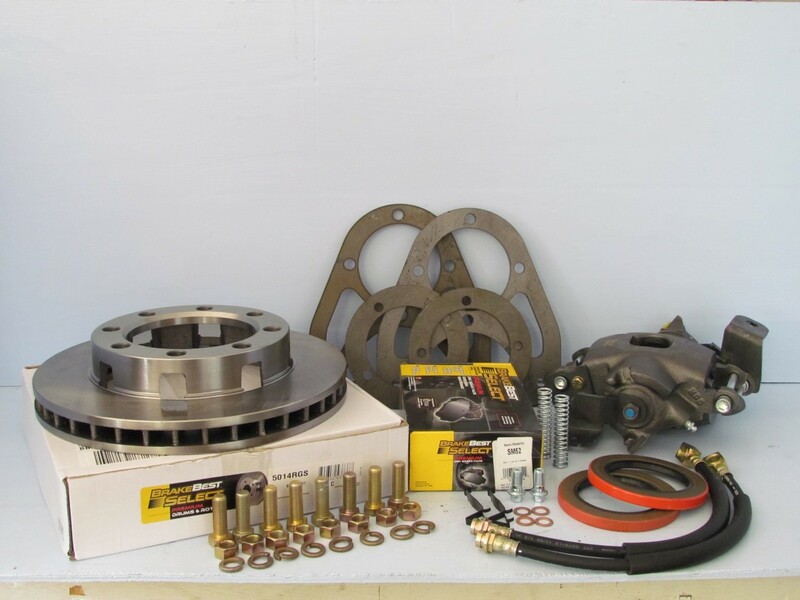 The kit includes new rotors, re-manufactured calipers, semi metallic brake pads, and new caliper pins and anti-rattle clips. Hub seals are not included with these kits. Some models may require new brake lines to be installed. The Chevy Dana 60 was only used from 1968-1972. Jeep then got the rights to the GM Dana 60 in 1973 and used it to the end of the full size Jeep trucks in the early 80’s. before 1972 Jeep used a dodge version of a Dana 60 and did actually use the dodge HD 60 in special order/camper special Jeep trucks in 73′ and 74′.